New year, new you? Not so fast - we’ve heard the phrase time and time again, but when the clock strikes midnight on New Year’s Eve, how often do we actually follow through on our resolutions? Being your best self can’t be done without a little preplanning. Kick bad habits to the curb, get fit, sleep more, calm your mind, and be more productive in 2018 with these 8 tried-and-tested apps. Your ultimate personal trainer has arrived. With Nike Training Club, you can get fit with over 160+ workouts from strength and endurance to yoga and mobility. This app makes working out a breeze. Whether you want one off workouts, or a personalized regimin tailored to your needs - NTC has it all. No time? No problem. Life doesn’t have to get in the way thanks to a variety of short, body-weight only workouts. Need some star power to motivate you? Athlete’s such as Serena Williams, Cristiano Ronaldo, Kevin Hart, Ellie Goulding and more, have teamed up with NTC to deliver their very own inspired workouts. Hit snooze no more! 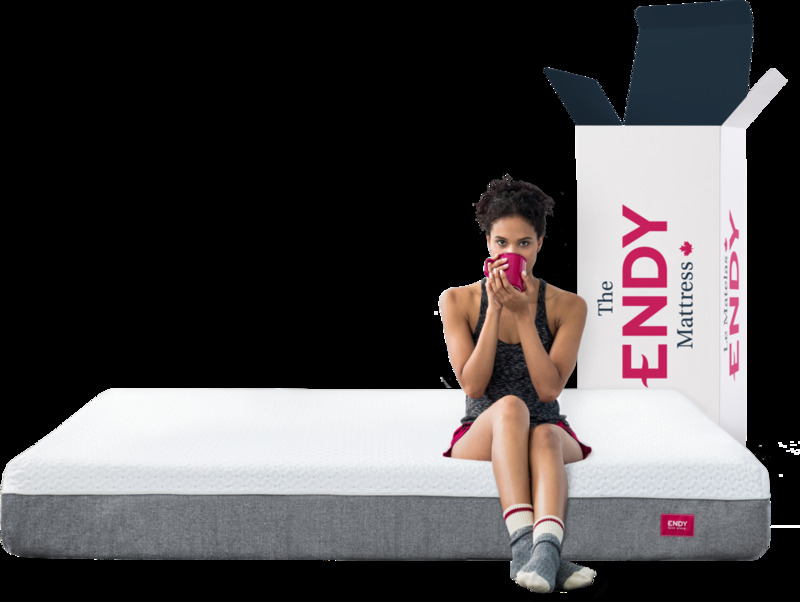 There’s no doubt waking up is hard - especially when you’ve got to part with your cozy Endy mattress and silky sheets. Waking up easy is all about timing. While you sleep, the Sleep Cycle alarm clock tracks your sleep patterns and wakes you up during your lightest sleep within your desired wake up phase (30 minute interval). Sleep Cycle uses the microphone or accelerometer to track sound and movements while you sleep. 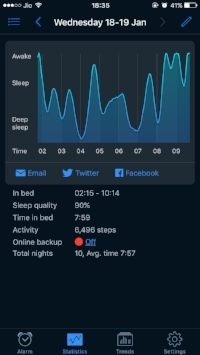 With continued use of the app, you’ll start to see the quality of sleep you’re getting, and you’ll be an early bird in no time. Meditation has been shown to help reduce stress, increase focus, you guessed it, enhance sleep. Headspace is meditation made simple. Developed for every and anyone, it’s an app that helps you train your mind for a healthier, happier life. 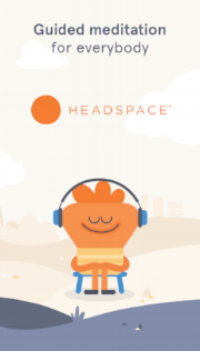 Headspace offers a variety of different meditation packs centred on topics such as sleep, self-esteem, motivation and more. Got a busy schedule? They’ve thought of it all, with super-short exercises you can do any time. No excuses! The best new way to learn a language? Duolingo. Learning how to speak, read and write in a new language has never been this fun and addictive. Earn points for correct answers, race against the clock and level up. Their bite-sized lessons are effective, and are proven to work. Gamification is poured into every lesson, and with the app you can learn anytime, anywhere, making your breaks and commutes more productive. Fun fact: 34 hours on Duolingo is equivalent to a whole university semester. The best part? It’s free! Want to be happier, have better relationships and become more optimistic? Start and end each day with gratitude. With the Five Minute Journal, you’ll focus on the good in your life, become more mindful, and live with intention. With a simple structured format based on positive psychology research, all you have to do is fill out a couple questions broken up into two sections: morning routine, and night routine. You’ll start each day with a thoughtful quote before answering the questions, and a daily photo can be uploaded - perfect for a quick glance of how your year is going. Reading at your fingertips - or better yet your earbuds. Now featuring an ever-expanding catalogue of titles written and narrated by Canadians, with the Audible app, you can listen to your favourite books regardless of what you’re doing. Whether you’re in the car, on a run, ironing or folding laundry, listening to a vast library of audiobook titles has never been easier. If you’re not happy with your selection, simply swap it for free anytime. New year, new skills, new food and new found confidence in the kitchen. Kitchen Stories is loved by millions of users, and helps put the whole world of cooking into your pocket. 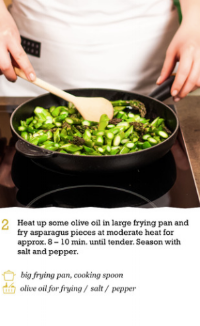 Browse delicious recipes with curated pictures and easy to follow step-by-step photo instructions and videos. Updated weekly with new recipes, Kitchen Stories also automatically generates shopping lists based on the recipes you’ve chosen to add to your book. This 5-star app, will have you cooking like a 5-star chef in no time. Streaks is the to-do list that’ll help you form good habits. It takes two months to form a habit, so you better get started now. Choose up to twelve tasks you’d like to turn into daily habits (eg. walking the dog, drinking eight glasses of water, flossing your teeth). As you complete these tasks your streak extends, but if you break the chain, your streak resets to zero. Challenge yourself and see how long you can go without resetting your balance - you’ve got nothing to lose, and multiple good habits to gain.